Deciding to find a nursing home for a friend or family member can be a difficult experience. Choosing the right match when faced with so many options can feel overwhelming. You also want to make sure that your loved one will have an enjoyable experience with the staff. Will they be treated with dignity? How will staff interact with them? Answering these questions requires you to get serious about your due diligence. It’s not easy to trust strangers initially but doing homework can help you make a confident, informed decision. Sit down for a lunch at the home. Observe how the food looks. Have a taste. Eating with your family member or friend gives you an authentic dining experience. If the food passes both the look and the taste test you can feel confident about the resident’s needs being met. Since some older people may have less of an appetite serving visually appealing food is important. Nobody expects a 5 star chef presentation but a bit of creativity combined with a loving staff can inspire a less than hungry person to chow down on vitamins and nutrients that they need to stay healthy. Although you may be terrified by the pleas for help inside of a nursing home you shouldn’t necessarily be alarmed. As seniors age dementia may set in. The dramatic yells and shrill screams aren’t really indicative of poor service by staff. Tune in to how staff communicates with residents to see how your loved one will be treated. How do most interactions flow? Does staff respect the residents? Look for the proper mix of being personal yet respectful. For example, it would be appropriate for workers to address residents by their first name only if the individual wishes to be so addressed. Some seniors may prefer to be addressed in a more formal fashion. Joking around and playfully interacting is permissible if residents seem to enjoy the banter. As with anything, both sides need to feel comfortable to create a pleasant experience. What Are Residents Up To? Check out the resident scene. You don’t want to see people sitting in bed all day, watching TV and rarely leaving their room. 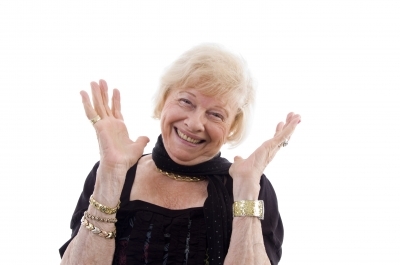 Give a big “thumbs up” to any nursing home which masquerades as a thriving, social community. Be happy if you see residents milling around the hallways, staff desks and outside. This means people are being encouraged to be active and active senior citizens are generally healthy senior citizens. Cross any nursing home off of your watch list if you don’t see much activity transpiring. How would you feel if you sat in your bedroom all day watching TV? You’d be depressed and your loved one will feel depressed if they are doing the same thing in their nursing home. Look for a nursing home that doubles as a community. Staff should interact freely and appropriately with residents. Make sure there’s plenty of resident activity throughout the facilities. If you like the vibe you can rest assured that your loved one will enjoy living there too.